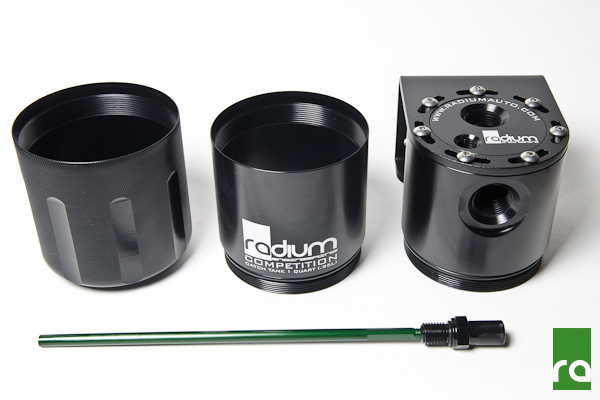 The Radium Competition Catch Can (CCC) was created to provide motorsports participants with a high quality product that meets the common 1 Quart minimum capacity requirements dictated by many organizing bodies including SCCA, NASA, and Formula Drift. 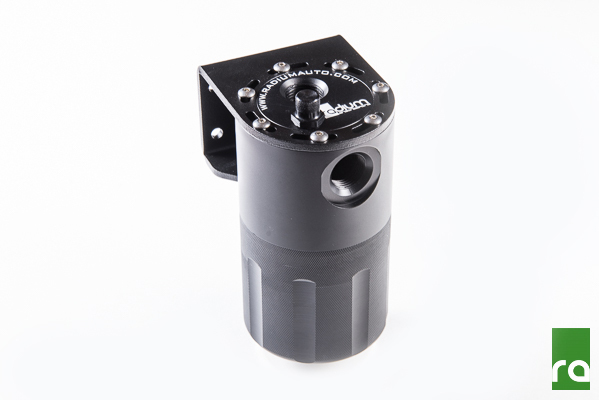 It is CNC machined from solid 6061-T6 aluminum to provide the ultimate in function and finish. 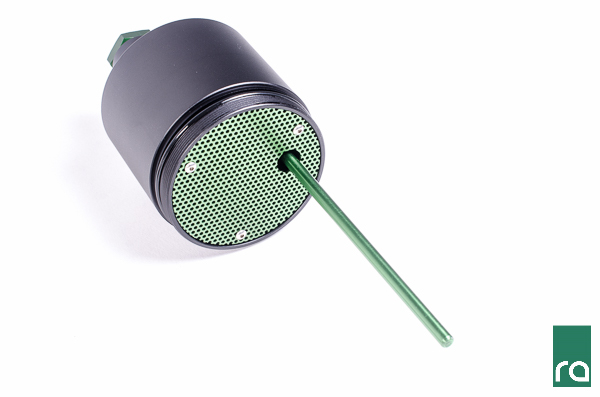 All of the CCC components are anodized to provide a long lasting durable surface finish. 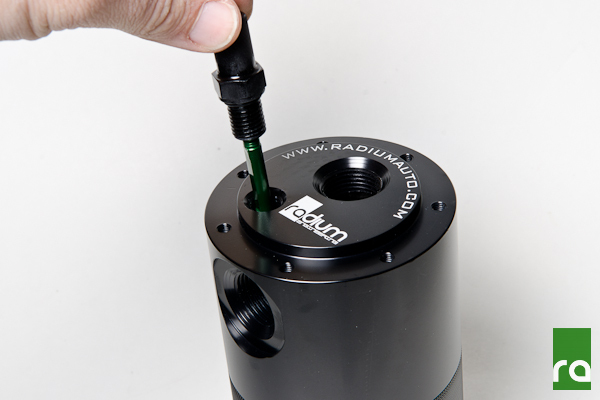 Like all Radium catch cans, the CCC has an easily accessed dipstick to quickly check fluid level. Stainless steel filtration media provides surface area for oil vapor to condense and drop out of suspension. 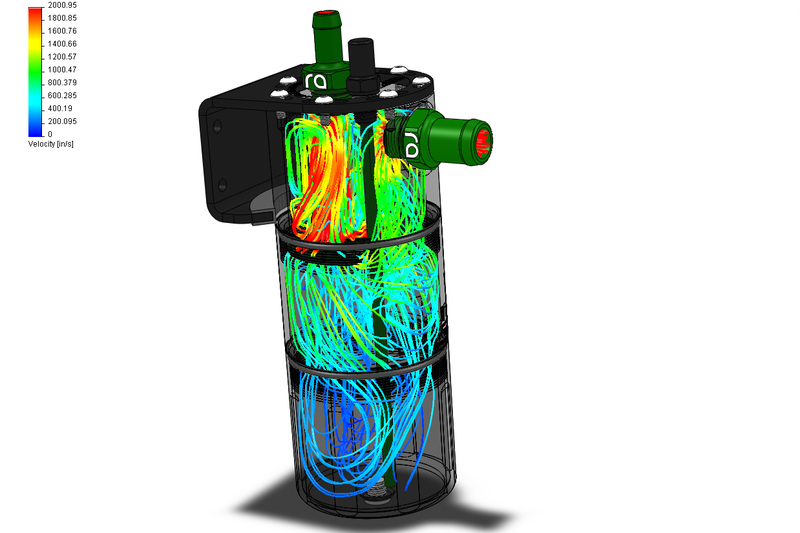 A large free flowing chamber for the condensing media (6 times larger than standard catch cans) does not create any flow restriction. The media can be removed for cleaning. 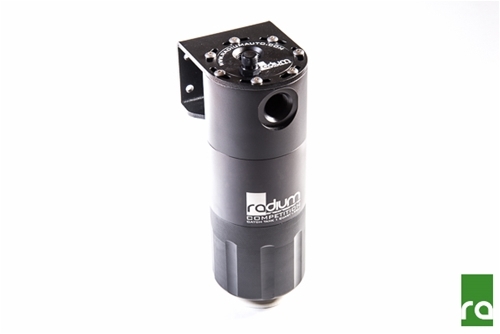 The included mounting bracket allows full 360 degree rotation. Also, by adding the optional extension piece, the CCC can be configured in short or tall form. To upgrade at a later time from the short to long version go HERE. Optional fittings can be added using the drop down menus. 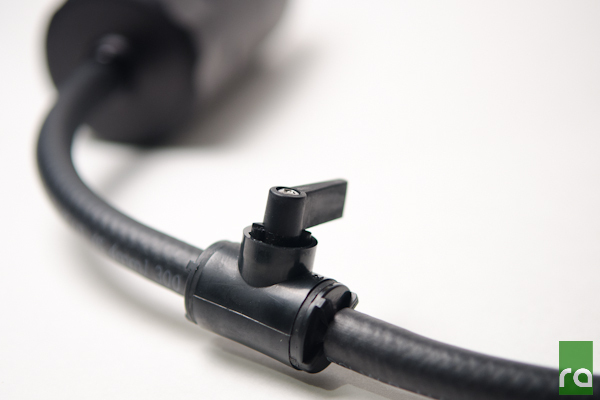 For more information on these fittings, go HERE. A threaded 4AN ORB port is integrated on the bottom for the ability to plumb a petcock drain valve.